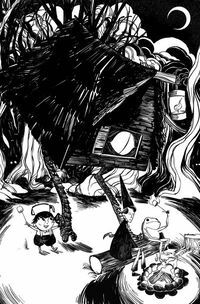 Hollow Town has sprung it's trap on Wirt, Greg, and Beatrice, and they must work together if they have any hope of escaping back to the Unknown to continue on their journey home. Variant comics are perfect for comic book fans looking for something a little different. These often hard-to-find variants feature covers by the hottest artists or fun and creative themes. Whatever variant covers you prefer, we've got them at TFAW! We have sketch variant covers, virgin variant comic book covers, and special retailer variant incentive covers at 10-40% off. 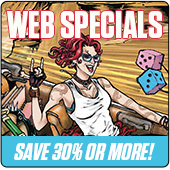 When it comes to comic variants, TFAW is the best online comic shop! Legal Notice: Entire contents trademarked (® or TM) and copyrighted (©) 1986-2019 by Things From Another World, Inc. and respective copyright and trademark holders. All rights reserved. Page rendered at 2019-04-25 21:14:22 in 1.157 seconds.